OAKLAND — In 2008, Peralta TV produced an award-winning documentary on the origins of the Black Panther Party at Merritt College. As part of the documentary, “Merritt College: Home of the Black Panthers,” Peralta TV interviewed Richard Aoki, who for many years worked for the Peralta Community College District as a teacher, administrator and counselor. An image from the trailer for Peralta TV's Richard Aoki special. Peralta TV will broadcast its entire 90-minute interview with Richard Aoki in three episodes this week on Wednesday, Sept. 12; Thursday, Sept. 13; and Friday, Sept. 14, at 8:30 p.m. Peralta TV can be seen on Comcast cable channels 27 (Alameda and Berkeley) and 28 (Oakland, Emeryville and Piedmont) and throughout the Bay Area on AT&T’s U-Verse channel 99. 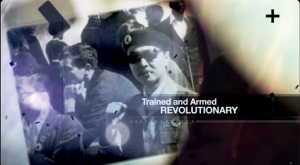 Was Aoki an FBI informant or a committed revolutionary? See his story in his words this week on Peralta TV.